I'm almost relieved that the Defender has sold out, because the temptation to buy another one was pretty strong and I already spent way too much. The EMP figures are probably my favorite color, and I skipped the first couple of military green releases, so I'm excited to have stocked up this time around. I really dig the darker green paint apps, too. Ditto! Bring on the army. Just got shipping notice, too! Also got a clear medium blue cray. My order arrived unexpectedly today. No shipping notice. Nice surprise for the weekend. EDIT: I ordered a lot of the VRD grey Phase Arm sets. Mixed in with them were Phase Arm sets that were a darker grey PVC, matching the painted parts of the VRD figures. 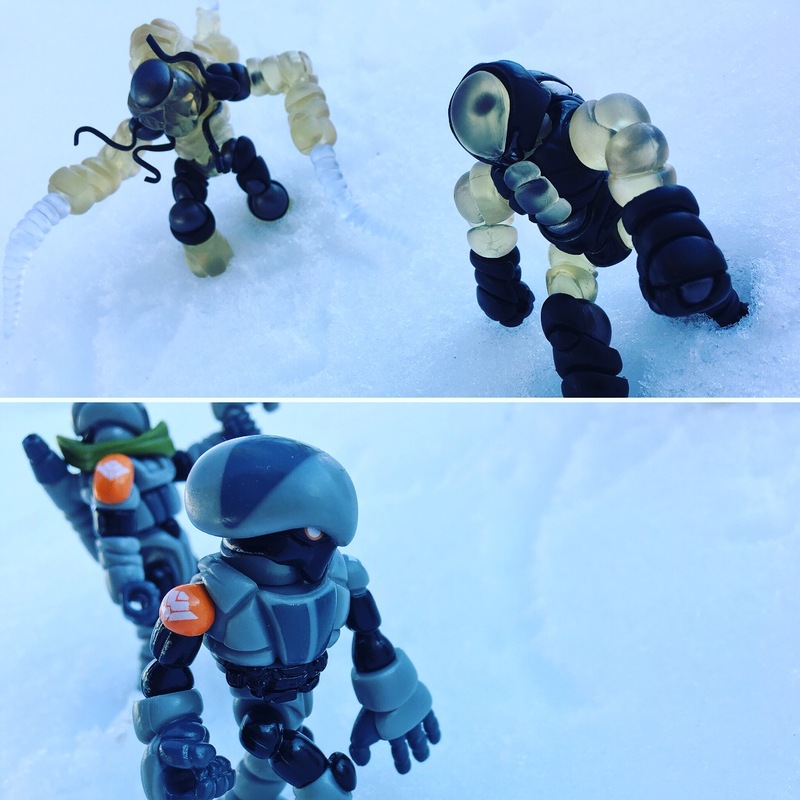 So there were 'secret' Phase Arm sets in this drop as well (similar to the unpainted copper sets from Wave 69 / Argenesis). akum6n wrote: My order arrived unexpectedly today. No shipping notice. Nice surprise for the weekend. Very cool! For freebies I got two of those blue stowaway crayboth, 1 of each Villser and extra VRD Gray axis joint set! I'm really loving the way that the two Villser colors mix. 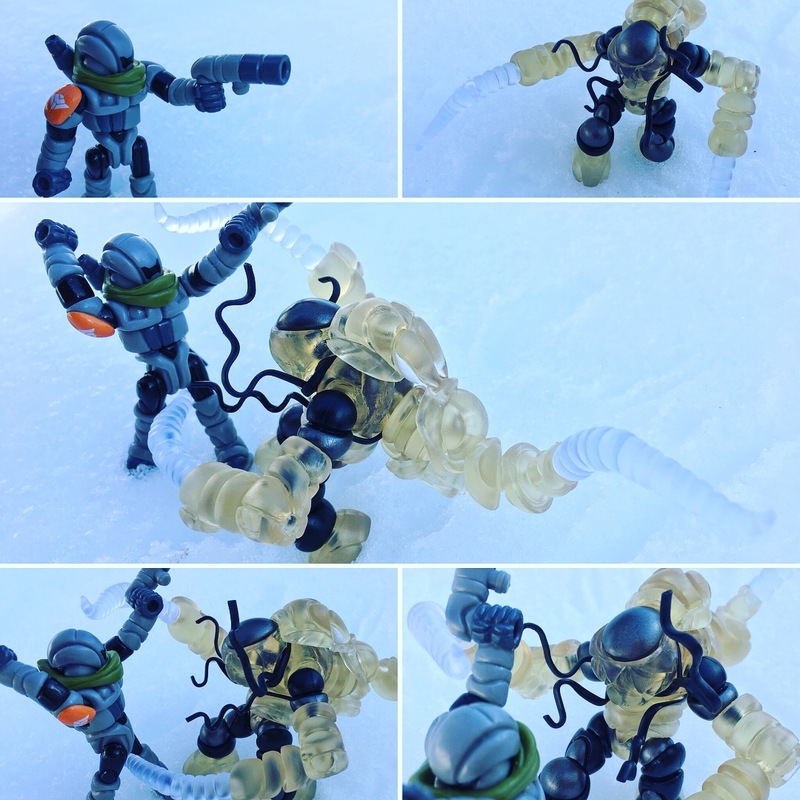 Got my giant Glyos military surplus package today! I have a theory relating to the next drop.. We're getting a Real Type trilogy, bringing back older colorways/factions with a modern touch, and the surprise Phase Arm set was a lovely dark gray... I'm gonna start saving right now, because if we get Real Type ZED/ZRU, I'm gonna dive in as hard as possible. Lucario wrote: I have a theory relating to the next drop.. We're getting a Real Type trilogy, bringing back older colorways/factions with a modern touch, and the surprise Phase Arm set was a lovely dark gray... I'm gonna start saving right now, because if we get Real Type ZED/ZRU, I'm gonna dive in as hard as possible. Matt: No clear Travelers in this wave, but the assortment on deck after this one will have a nice chunk of translucent action. That indicates clear travelers I know, but damn if I’m not crossing my fingers we’ll see some trans Glyan action sometime this year! ...line up well alongside both the Glyaxia Rangers and Task Force Volkriun assortments. Awesome display, and nice blending of colors on the Villser! Lucario wrote: ...if we get Real Type ZED/ZRU, I'm gonna dive in as hard as possible. It's such a wonderfully space-y colorway, and if we were to get a full Gendrone run in it as well, then that would be mind-blowing. One can dream, right? Also, I'm diggin' the Piloden from this round, especially since it fits so well with the Phanoid and Optivos figures from previous drops. It's like a little spaceship crew that's good to go! 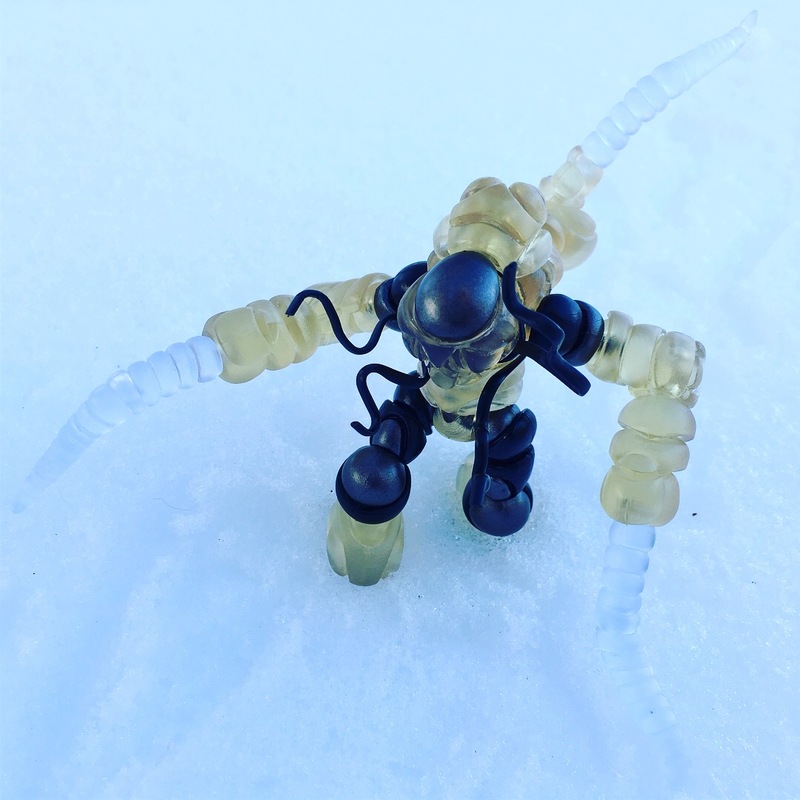 Word to the wise, Build Warrior Cinar, Glyan VRD Specialist and Black Axis joints are back in the store at LOW STOCK! Can someone explain what "real type" colors mean? Is it simply more grounded, less vibrant colors? clark wrote: Can someone explain what "real type" colors mean? Is it simply more grounded, less vibrant colors? Real type is a term you typically hear in Gundam and yes, it's usually describing dull or muted colors, more realistic than the vibrant red and blue robots Gundams are typically known for. A lot of military tones, grays, tans, and dark greens are typical of real type pallets. Cool, I didn't know there was a Gundam connection (I've never seen any of the Gundam series), but I'm not surprised there was an homage to something in there somewhere. Thanks for the clarification.